How many seats will UKIP win? Matthew Engel in the Racing Post today tipped up a bet for UKIP to win just one seat on May 7th. That was 9/2 and is now 4/1 with Ladbrokes. Looking at the individual seat by seat odds, we can produce a UKIP Win % for each seat showing the chances of them being successful in each seat. 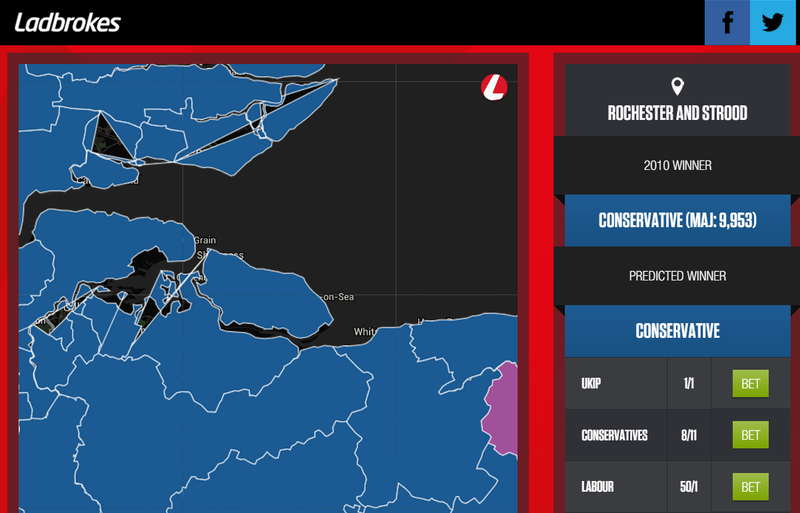 So, Carswell looks very safe in Clacton and UKIP are also clear favourites in Thurrock and Thanet South. However, in the latter two seats, confidence in the betting markets has been waning slightly in the last couple of weeks. Similarly, in Rochester & Strood, Mark Reckless was favourite a few weeks back, before sentiment moved in favour of a Conservative re-gain. 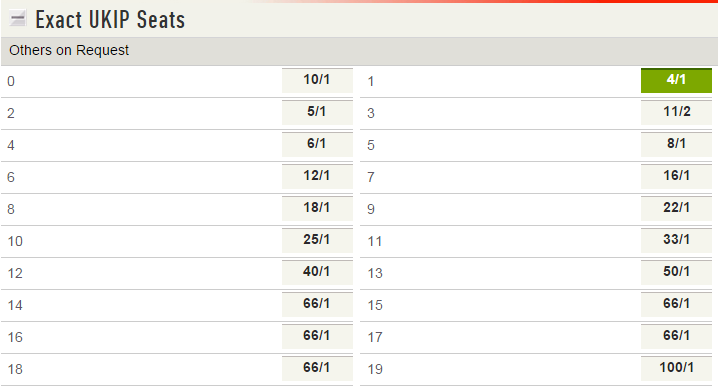 You can find the latest odds and election betting map for every seat on our dedicated microsite.